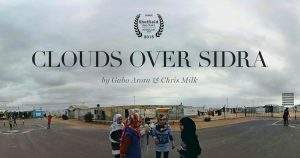 Filmed in December 2014 in the Zaatari Refugee Camp in Jordan, home to 130,000 Syrians fleeing violence and war. 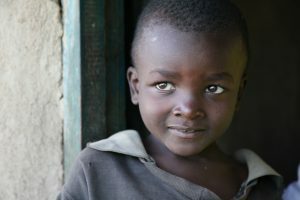 Children make up half the camp’s population. Sidra is a young girl who has lived in the Camp since summer 2013 and wants to go home. In 2016, United Nations Secretary-General Ban Ki-moon traveled to more than 10 countries in five months, visiting some of the world’s worst humanitarian crises. The missions aimed to draw global attention to the urgent needs of some 130 million people severely affected by armed conflicts and natural disasters. Premiered during the Secretary-General’s final month in office, Home is an exclusive United Nations virtual reality film that offers a rare behind-the-scenes look at this journey. Omar is a 9 year old Syrian refugee boy who suffers a debilitating hormone deficiency. 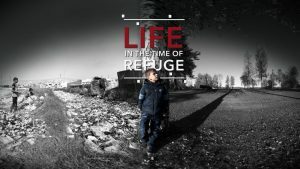 Untreated for the three years that he lived as a refugee in Lebanon, last year Omar was resettled to Finland. 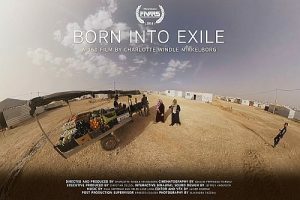 Join his friend and fellow refugee Warda Aljawahiry as she journeys to Finland to see how he is faring in his new home. In Gaza, foundations are built, destroyed, and built again. 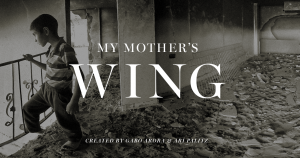 This virtual reality experience follows the grief of a mother coping with the death of her two children in the 2014 war, and her role as a pillar of strength, helping her family continue to have hope as they heal. Liberia has endured the largest Ebola outbreak in history. As the community of West Point rebuilds, one woman seeks healing through faith. After surviving a bout with the deadly disease that stole the lives of her family, Decontee fights stigma and uses her immunity to help children orphaned by Ebola. The World Food Programme can always be found saving lives by stopping hunger on the frontlines. Whether the cause be conflict, natural disaster or poverty WFP will get food to those left furthest behind, in the most remote corners of the earth. Now you too can experience what WFP staff live and see on a daily basis in places like Yemen, north eastern Nigeria, and Iraq. Episode 1: What is WFP doing in the war against ISIS in Iraq? 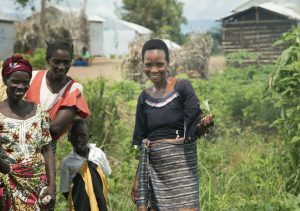 Join, WFP video producer, Marco Frattini as he shows you what’s happening in a community that has been held captive by insurgents for 2 years. Episode 2: Yemen has been on the brink of famine for years. Desperately poor with most of its food imported. Now fighting has tightened the noose of hunger around the most vulnerable. WFP Regional Director, Muhannad Hadi, gives us a personal account of what is happening to the people if Yemen. Episode 3: How do displaced people in northeastern Nigeria survive after having fled Boko Haram with only the clothes on their backs? WFP’s Head of TV, Jonathan Dumont, takes us into camps for a firsthand look at the humanitarian response to this crises. When it comes to second language learning and job skills training, Virtual Reality (VR) is uniquely suited to reducing the significant learning curve, which refugees and immigrants face during the challenge of integration. Thus, in 2016 Deutsche Telekom set out to build a mobile app / educational 2nd language learning resource for refugees that combines VR with the accessibility of mobile technology, using the latest research in pragmatic linguistics. VR not only speeds up the learning process, it enables people to practice and develop competency in skills without the cost of teachers and classrooms. VR, used with our proprietary process, generates a focused and task specific learning environment. VR becomes a disruptive applied technology where learning and practice are merged into one experience while activating multiple sections of the brain for increased assimilation, retention and application. It allows us to create a safe place to not just learn, but accelerate learning, for a population that typically doesn’t feel safe in light of their recent history.